At the very heart of Australia lies the historic town of Alice Springs - the pioneering gateway to a mysterious land of natural monuments, colorful outback culture and ancient Dreamtime lore. 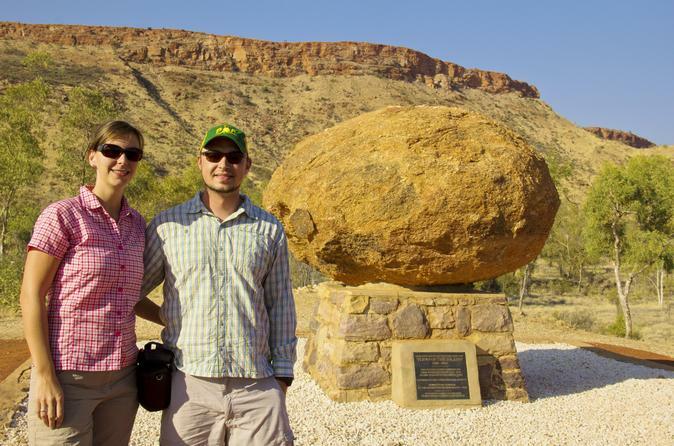 On this half-day afternoon tour you will visit the School of the Air, the Australia's Royal Flying Doctor Service as well as take in spectacular views of the West MacDonnell ranges from Anzac Hill. See the best of the Red Centre on a three-day camping safari from Alice Springs. Discover the heart and soul of this rugged country, with Dreamtime legends, panoramic landscapes and stunning natural beauty. 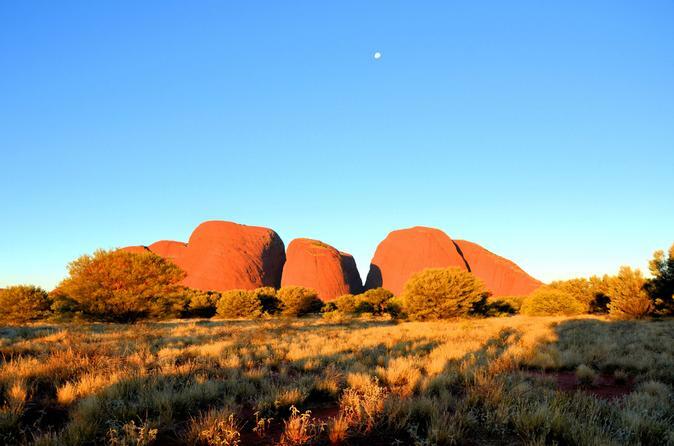 See Uluru (Ayers Rock) change color in the sunrise, be awed by the grandeur Kings Canyon and marvel at the round domes of Kata Tjuta (The Olgas), as you camp out for a true outback experience. Enjoy meals and camping accommodations with a 'Basix' option or upgrade 'Original'. Round-trip transport included from Alice Springs or Ayers Rock. 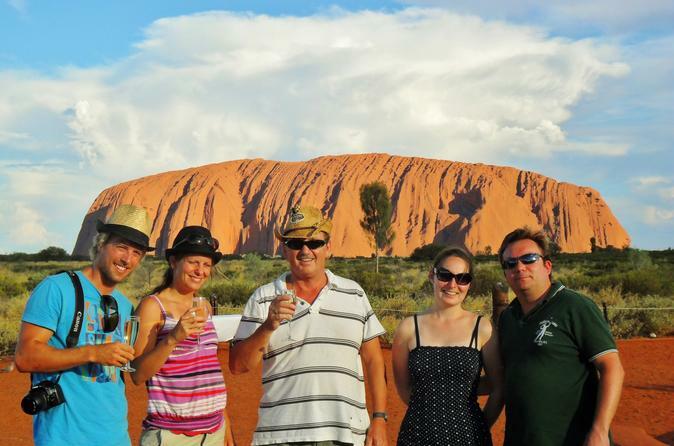 Immerse yourself in the ancient landscapes of Uluru and Kata Tjuta on a three-day tour from Alice Springs. You'll see the highlights of Uluru (Ayers Rock), including the unforgettable sights of an Uluru sunset and sunrise, and have the opportunity to walk the rim of the magnificent Kings Canyon. 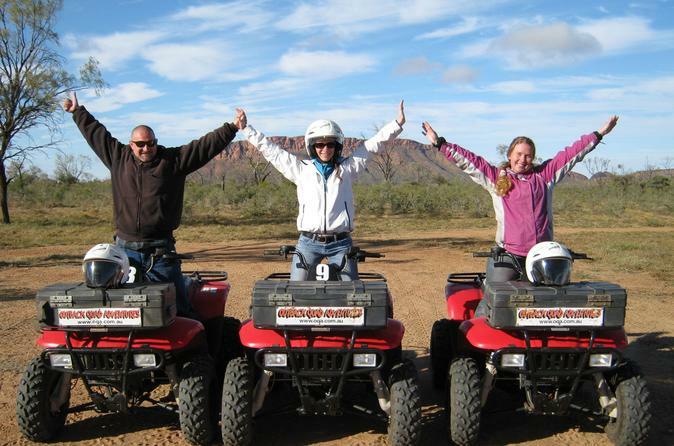 Explore the West MacDonnell Ranges on a day trip from Alice Springs and visit sites including Simpsons Gap, Standley Chasm, Ochre Pits, Ormiston Gorge, Glen Helen and Ellery Creek. Enjoy stunning outback scenery and abundant photo opportunities as you travel with an expert guide to rock canyons, waterholes, historical sites and other natural wonders. Take time to revel in the region's beauty without rushing on this small-group tour limited to 21 people, with personalized attention from your guide. 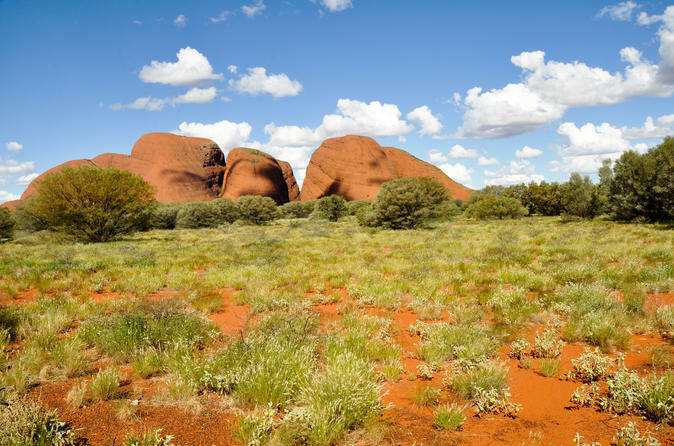 Journey into the heart of Central Australia with two expert guides to experience the wonders of Uluru (Ayers Rock) and Kata Tjuta National Park, sacred sites of the local Aboriginal people. Explore the spectacular scenery around Uluru, Kata-Tjuta, enjoy the Mutitjulu Waterhole and Mala guided walks and visit the Cultural Centre to learn about Aboriginal traditions and history. This all-inclusive tour includes a morning snack pack and lunch, an Aussie barbecue during the sunset at Uluru and snacks throughout the day. A short transfer from all accommodation in Alice Springs to Undoolya Station, only 17km east of the town centre. This is the oldest working cattle station in the Northern Territory and Outback Quad Adventures are the sole operators on the station. Spend your days hiking, swimming and exploring, and sleep under the southern stars on a four-day Australian outback camping tour. 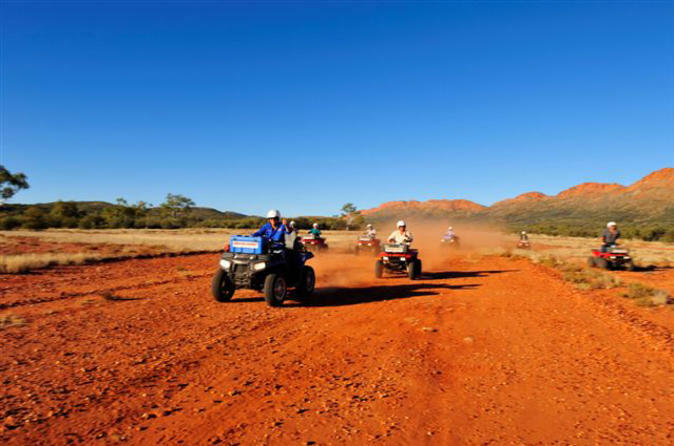 Traveling by off-road 4WD vehicle, see all the icons of central Australia, including Uluru (the Aboriginal name of Ayers Rock), Kata Tjuta (the Olgas), Kings Canyon and the West MacDonnell Ranges. Sleep around the campfire in a traditional Australian bedroll known as a swag and stargaze under the southern stars – or choose the comfort of a permanent tent. This small-group tour is limited to 16 people, ensuring a personalized experience with your guide. You can begin the tour in Alice Springs or Ayers Rock, concluding in Alice Springs. 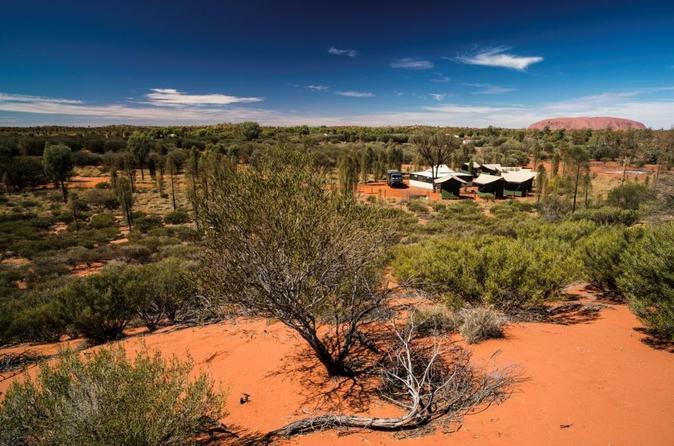 Explore Uluru-Kata Tjuta National Park from Alice Springs or Ayers Rock, and sleep under the stars on this two-day outback bush camping tour, ideal if your time in the Red Center is limited. Take a guided base walk around Uluru and Kata Tjuta, and hear stories from Aboriginal folklore. Bed down for the night in an outback bush camp, and enjoy personal attention from your guide on this small-group tour. See the best of the Red Centre on a three-day camping safari from Alice Springs. Discover the heart and soul of this rugged country, with Dreamtime legends, panoramic landscapes and stunning natural beauty. See Uluru (Ayers Rock) change color in the sunrise, be awed by the grandeur Kings Canyon and marvel at the round domes of Kata Tjuta (The Olgas), as you camp out for a true outback experience. Enjoy meals and camping accommodations with a basic option (Explorer) or upgrade (Safari). 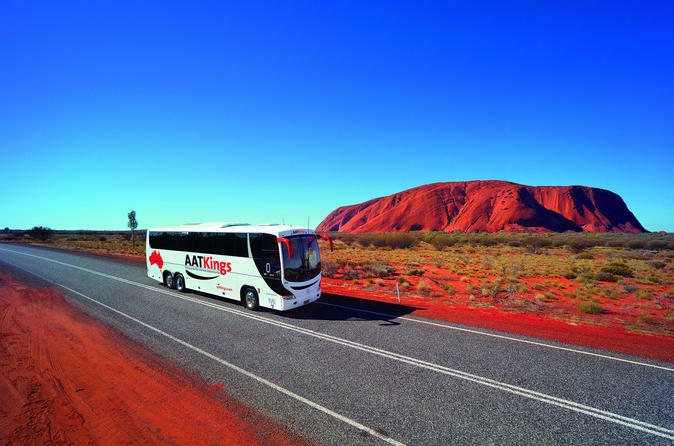 Round-trip transport included from Alice Springs or Ayers Rock.